This month’s inaugural meetup is all about the evolution of a successful blog! Ashley Rose of Sugar & Cloth, a nationally renowned DIY and lifestyle blog, will be sharing her wisdom on building a social media presence, marketing a lifestyle brand and what happens when your side hustle becomes your full-time grind. Once upon a time I attended Marshall university for Art & Design. Then, against my parents’ better judgement, I decided to take a break from school. That break accidentally turned into a few years. During that time I moved across the country to Houston, learned from a few mistakes, and found an entirely new appreciation for art and design after waiting tables to make ends meet. In the midst of all of that, I started Sugar & Cloth in September of 2011. It blossomed into more than I ever imagined, and I finally took the (terrifying) leap to leave my day job in 2014. Now I have the privilege of getting to create and share content here with you as my full time job. 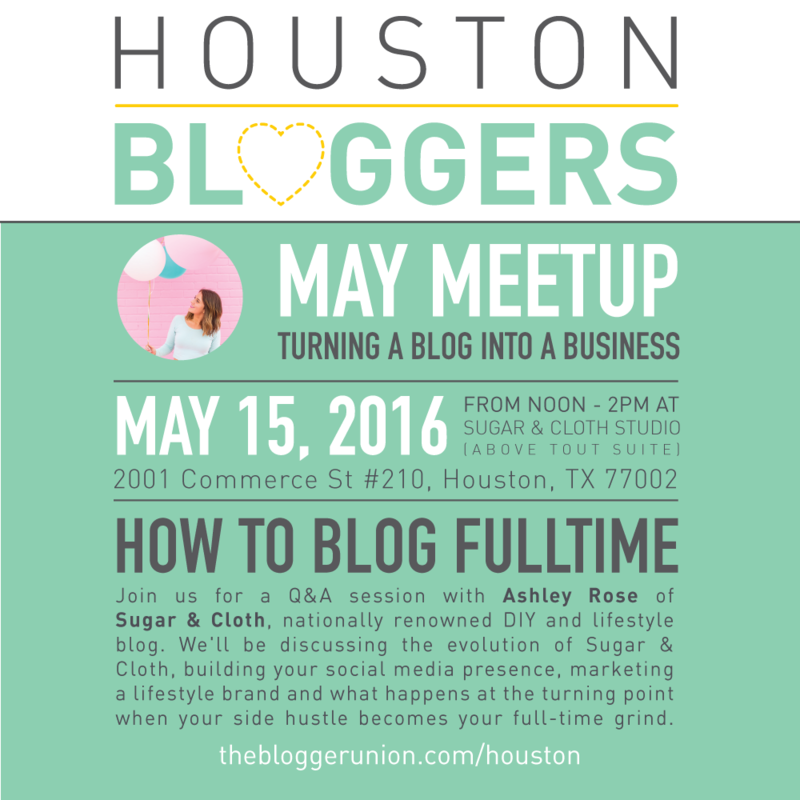 Interested in sponsoring Houston Bloggers? Contact us! Hi, I had wanted to sign up for this event but wasn’t able to (I was having trouble with loading the website) and now it says sold out. Can I please be a part of this event in any way, I am a new blogger and wanted to attend to learn more. Please let me know if you can accommodate me. Thanks a lot!! Join The Houston Bloggers Facebook Group! Add this badge to your site & support Houston Bloggers! Jillian Goltzman is a multi-passionate lifestyle writer and social media manager with a passion for inspiring positive change in the lives of others. 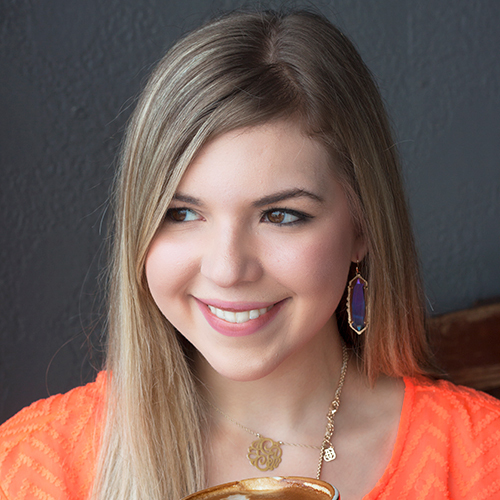 As the founder of Cup of Charisma, a socially conscious lifestyle blog, Jillian covers fashion, philanthropy, and life advice to empower millennials through her writing. When she isn’t dissecting the dilemmas of a 20-something or writing about a new trend, she spends her time meeting new bloggers and drinking copious amounts of coffee with her corgi by her side.